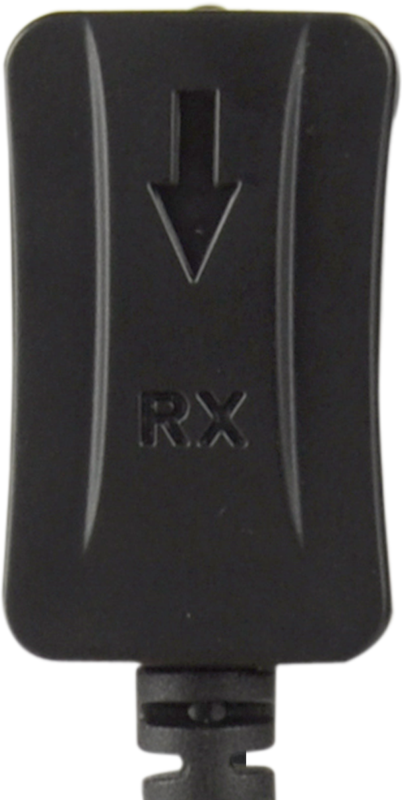 Before you begin, make sure you have correctly identified the IR TX (transmitter) from the IR RX (receiver). Below left is an IR Kit for Modular 4×4 and Modular 8×8 and right shows a different IR kit for the Multiroom+ systems. vary in position depending on source/model. Click here to find out how to locate the IR windows on the different models of Sky boxes. Connect the IR TX emitter cables to the 3.5 mm jack ports labelled IR TX 1, 2, 3, 4 on the matrix and position the IR emitter dongle on the shelf in front of the source, in sight of the IR receiving window on each of the corresponding connected source devices 1, 2, 3, 4. You can connect an IR RX cable to the 3.5mm jack port labelled IR Ext if you wish to retain IR control of the central hub when the hub is situated in a closed cupboard (with its IR window out of sight of the IR remote). Position in sight of where you would usually like to point the remote control. If the system you are setting up has discrete IR, then it is possible to have 2 (or more) identical source devices without experiencing annoying IR clashes that would result in the operation of all identical devices. When using 2 (or more) identical source devices, please take measures to avoid IR transmission leaks that could cause the other identical source devices to respond. Take measures to shield source devices from the IR being emitted by other source device IR TX emitters by locating them on different shelves for example. and positioned in sight of where you would usually like to point your remote control(s). This entry was posted in Discontinued products, General articles, HDBaseT, Help with IR (infra-red) control, Matrixes, Miscellaneous, Modular, Multiroom+ and tagged IR Help, IR over HDMI, Multiroom+, Troubleshooting. Bookmark the permalink.